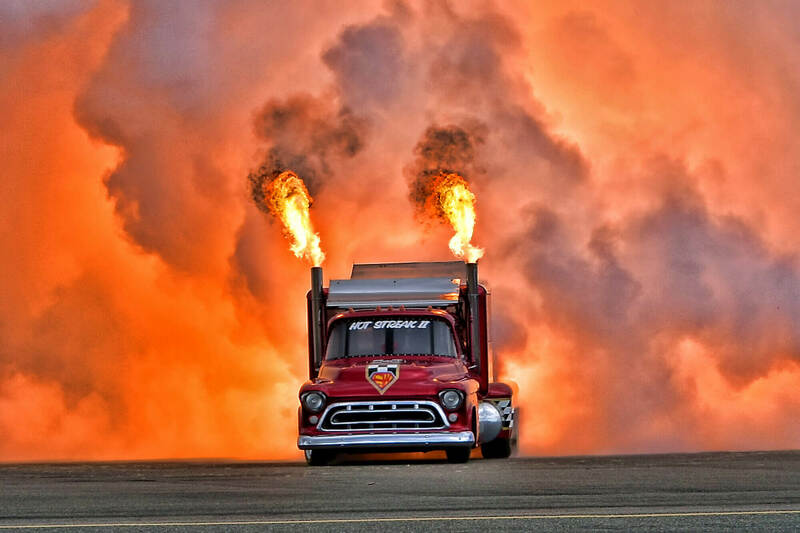 Hot Streak II is a twin jet engine 57 Chevy Pickup capable of speeds of 350+MPH entertaining fans across the country for over 20 years. 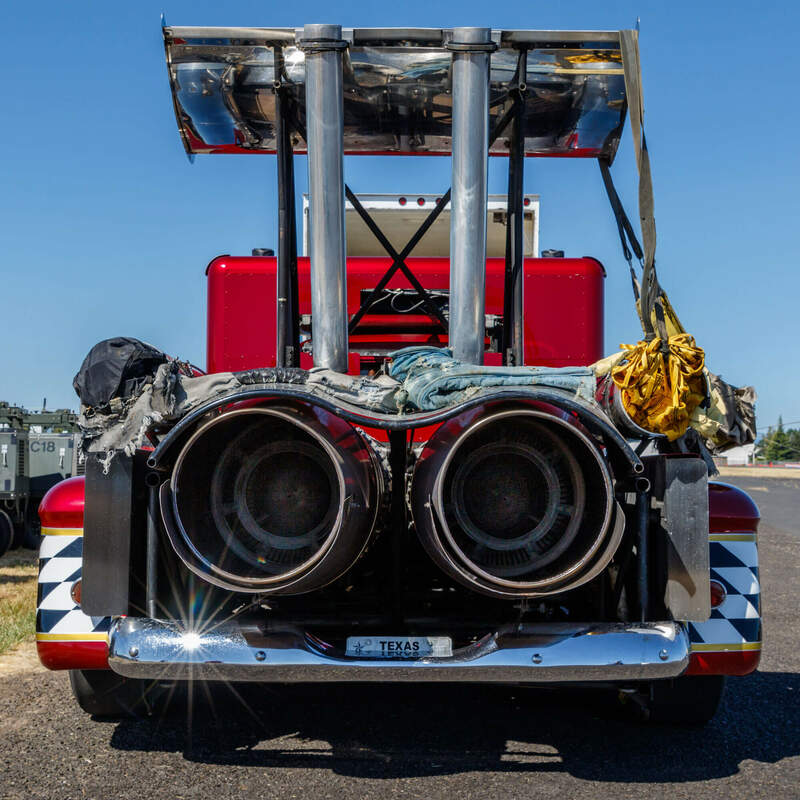 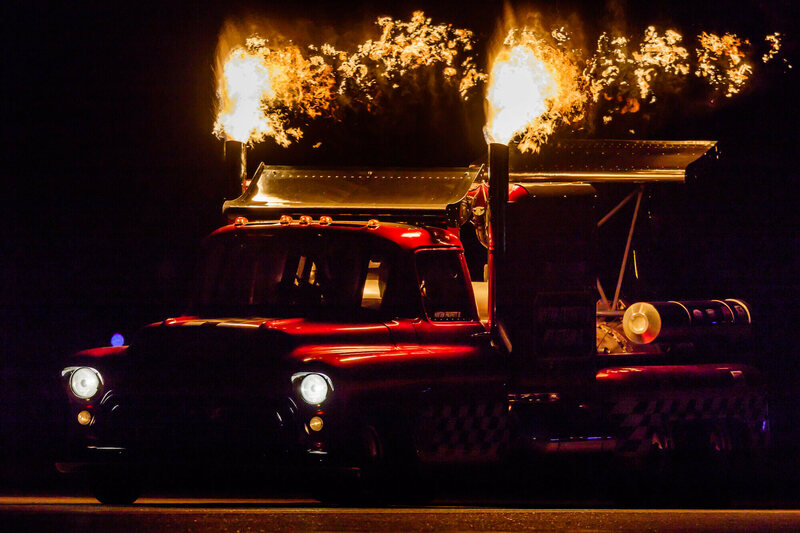 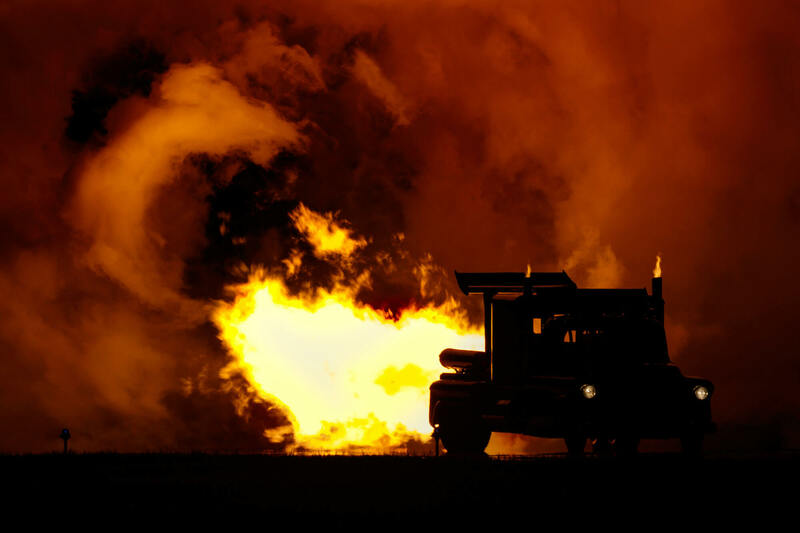 If you have an upcoming air show or drag racing event and are looking for a ground shaking heart pounding performance look no further than booking the Hot Streak II JetTruck. 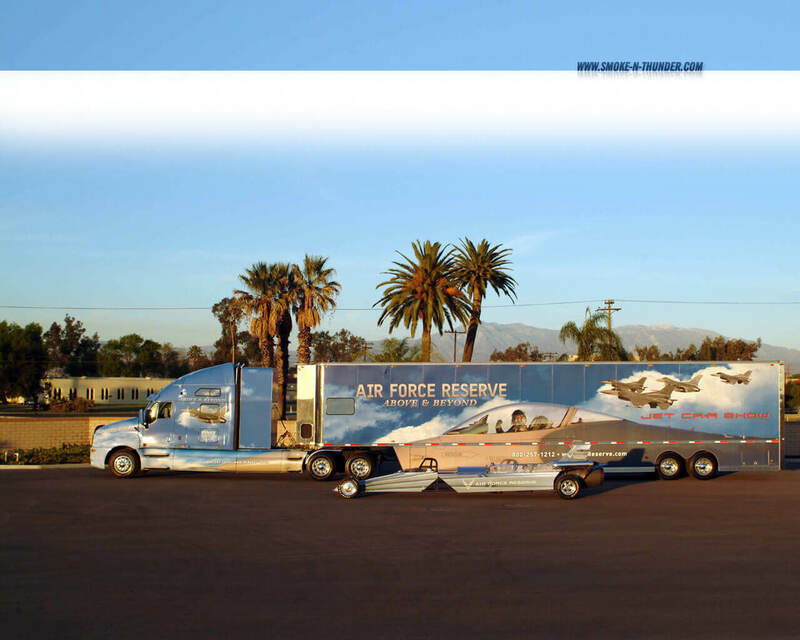 A 80-foot truck and trailer transports the JetTruck and are part of the display.